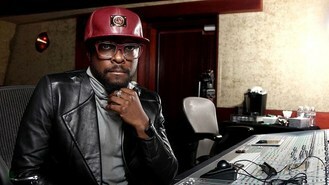 The Black Eyed Peas frontman and The Voice coach is computer chip-maker Intel's "director of creative innovation." He's also partnered with Coca-Cola to create a new brand of products from recycled bottles and cans, including headphones and clothes. But Will vowed: "I'll still make music. You've still got to promote the (stuff) you make. So I'll use my music to bring awareness to the things I make. "It's the original use of music. It's just that the people making music never participated in the things that were sold around it. For example, before there was a music industry, people played music in speakeasies and juke joints. Music still sells alcohol in bars. And music sold radios and turntables and CD players. "But the musicians never participated in that business. And if they dared sell anything outside of that circle of products, they were sellouts. Now, Dr. Dre has Beats. And his music and everything it stood for sells other products: headphones. "So hopefully musicians get hip to the fact that we should be selling the things that we want to make. Making us makers. And our music sells the stuff that we bring to market." The music producer also revealed he funded his solo album himself, because people weren't willing to take a risk on him branching out from The Black Eyed Peas. Will said: "When you're in a group like The Black Eyed Peas and you're successful, a lot of times the company that you're with wants you to do just that. And they don't see that you can be successful outside of that. "So I had to do 'willpower' all by myself - fund it, pay for it. There's a lot at stake. You don't succeed, you mess up your group. Very few people succeed outside their group when their group is successful. So it's been a hurdle."